What does $1,800 rent you in Richmond, today? We've rounded up the latest rental listings via rental site Zumper to get a sense of what to expect when it comes to scoring a place in Richmond if you're on a budget of $1,800/month. 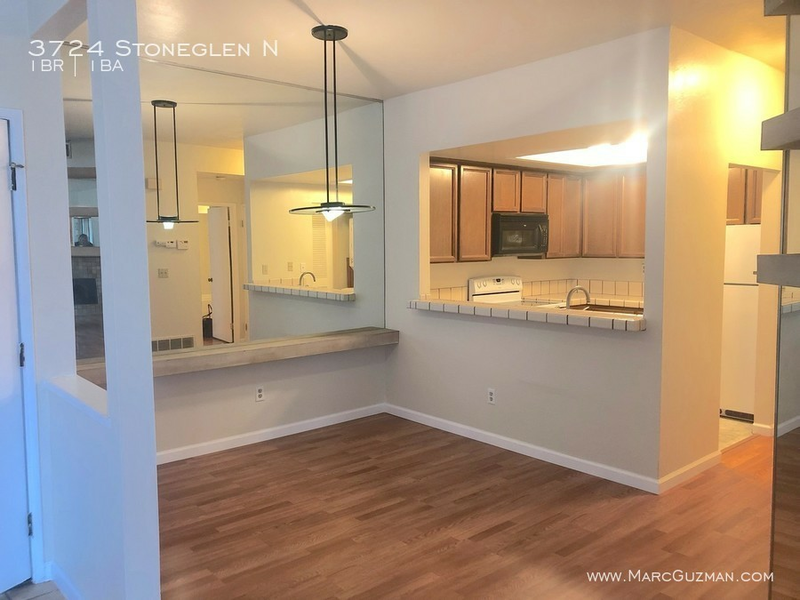 Listed at $1,800/month, this 816-square-foot one-bedroom, one-bathroom spot is located at 3724 Stoneglen North. In the unit, anticipate hardwood flooring, a walk-in closet, a dishwasher and in-unit laundry. When it comes to building amenities, expect assigned parking; Cats and dogs are not welcome. Walk Score indicates that this location is car-dependent and is somewhat bikeable. Next, there's this one-bedroom, one-bathroom situated at 225 16th St. It's listed for $1,795/month. The building offers garage parking; In the unit, there are hardwood floors, stainless steel appliances and a dishwasher. Neither cats nor dogs are permitted. The rental doesn't require a leasing fee. Per Walk Score ratings, this location is very walkable and is convenient for biking. Here's a 746-square-foot one-bedroom, one-bathroom at 3185 Garrity Way that's going for $1,729/month. In the unit, you'll get a dishwasher, in-unit laundry, a walk-in closet, a fireplace and a balcony. If you've got a pet, you'll be happy to learn that cats and dogs are welcome. The rental doesn't require a leasing fee. Per Walk Score ratings, the surrounding area is somewhat walkable and has minimal bike infrastructure.